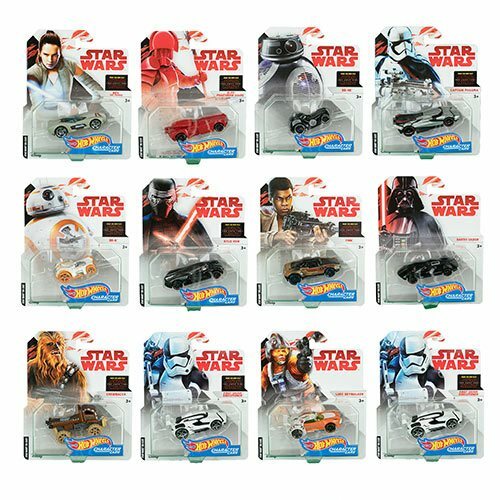 Collect an entire galaxy of Star Wars favorites in vehicle form! Collect and play with a galaxy of Star Wars Hot Wheels character vehicles from Star Wars: The Last Jedi and the rest of the Star Wars Universe as they're reimagined as Hot Wheels cars. Each Star Wars Hot Wheels vehicle comes in 1:64 scale with inspired-by-character features and decos. Ages 3 and up.